I accidentally left myself all of twenty minutes to get ready for my wedding on December 16, 1977. The Oversleeper begins his day in the move-it-or-lose-it mode, and my best friend, Dale, and I having been “moving” with hardly a breath ever since. We married very young with foolishly little experience or education to prepare us for the rough seas ahead: a separation and near divorce, a firstborn with severe disabilities, multiple interstate moves, repeated periods of unemployment, numerous hospitalizations and surgeries, lost pregnancies, oppressive debt, business failures, sibling divorces, parental and family deaths, and, for nearly twenty years, a job which required frequent, unpredictable, often extended separations. There is no way our union should have survived over four decades of such dramatic ups and downs, spurts and starts, rain and sun, collisions and repairs, trouble and peace, heart-rending losses and hard-won gains. Yet our exclusive club is tighter and more exclusive than ever. It seems obvious to me, after years of intimate contact with thousands of hearts, that humankind comes into this life with the innate desire to “belong”. It is the driving force in all our psychological landscape. What we long for is a complete sense of belonging—ultimate security and acceptance. We find this in our mother’s arms as infants, but we search and ache for it all the rest of our lives. It is the beating of a spiritual “heart”—the pain of feeling apart, separated. If this sacred aching is treated with understanding and tenderness by our families, we gain some comfort and peace and relative security in this life. On the other hand, if this longing is fueled by cruelty, neglect, and betrayal by our families, the hunger can become so wretchedly acute that it either drives us to foolish choices in a desperate attempt to fill it, or to depression and hopelessness. I have thought a great deal about how this all relates to marriage. Marriage is clearly the greatest opportunity in this life to experience, at least in human relationships, a satisfaction of our ancient longing. Sensing its potential, everyone aspires to it one way or another: that sense of full belonging, that “pure relationship”, as Anne Morrow Lindbergh puts it. Of course, there are many who promote shortcuts to achieving this great-thing-that-we-desire-above-all-things, and if one buys in, one may, for a time, feel a sense of “belonging”. But when the “shortcut” runs its course, and it is finally admitted or discovered that in our hunger for emotional security, the relationship was actually established on the very principles of insecurity, our heart struggles against itself to ever completely rest again. We know intuitively that we have yet to experience the authentic human love we are desperate for—a love akin to God’s: constant, committed, consistent, merciful, long-suffering, patient, hopeful, eternal. The only kind of marriage that can come close to that kind of love (and therefore to the belonging that we are looking for), is a fully reciprocal, long-term union: one that pays the high price to create trust and irrevocable commitment. Deep, quiet security can then take root, and as it does, emotional fortitude and freedom spring up. This is the great miracle and purpose of marriage and life in general—to stretch us through hard times and hard things into becoming “one”. It’s there, in that place of unity, that we experience the deepest joys life has to offer. Above all my blessings and trials—which are more numerous than can ever be counted—I rest in, and thank God for, the partner who, after forty years, I can say “belongs” to me, and to whom I truly and willingly “belong”. Study “living” love. Watch others who exemplify love in their marriage and other relationships. If possible, get to know them and spend time with them. Make note of how they interact with others, particularly their spouse, and how they react to the unexpected or to disappointments in life. Study historic love. Read about or watch films about those who have accomplished loving marriage for a lifetime. Look for the ways they coped with their differences and difficulties, yet continued to “belong” together. Study true, proven principles. Make finding, understanding, and applying the general principles governing relationships an intentional focus of your life. We go to school for years to learn a trade or profession, but expect to just figure out for ourselves that which is most advanced and complex of all: successful marriage. Develop a spiritual life. The richer your connection with faith, whatever form it may take, the more resilient, peaceful, and secure you will naturally become despite life’s difficulties, and the more committed you will feel to your spouse. Prioritize family. By consistently exemplifying the message, “I am here for you”, you give your children and Loved One the greatest possible gift you can give them: security in their relationship with you. Strive to help others “belong”. Reaching beyond yourself to care sincerely about and to serve and accept others, as they are, will increase your own sense of “belonging”. Forgive. Life is life-giving only when we allow ourselves and others to change and to grow past the past. A heart holding on to condemnation or contempt, especially toward spouse, will never know the full peace of “belonging”. 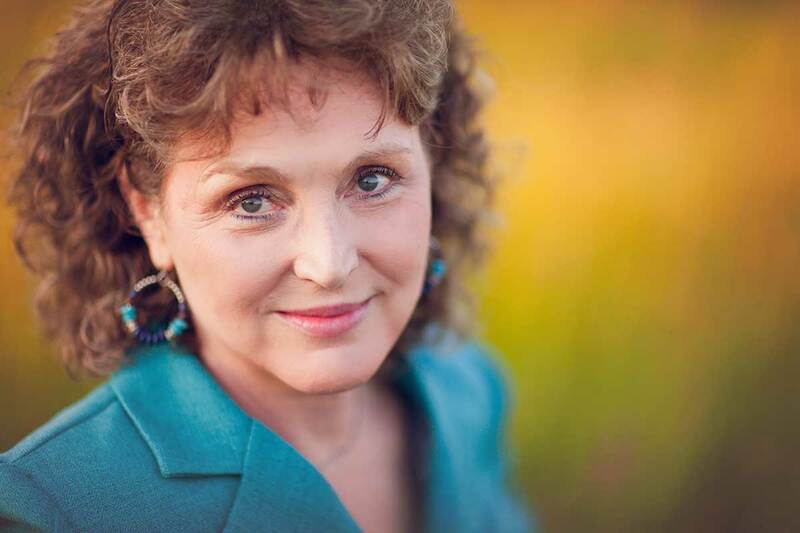 In keeping with the idea of encouraging belonging — another author I just heard encourages us to communicate acceptance and build connection with our loved ones by smiling at them when they enter the room. It immediately made me think of your teaching and how much it sounds like something you would encourage us to do with our mates! That’s a great specific tactic, Barbara. I often extol the power in Dr. John Gottmam’s “turning toward”. Consistently lighting up when your Loved One enters a room does wonders for him and for the relationship in general. My husband and I love watching movies together. I’d love to pick some date night movies from your list! Beautifully said. Truly. I think I am just now, after reading your book and after 13 years of marriage beginning to understand that beautiful sense of truly being accepted and belonging. What news, Charity! Thank you for making my day! My favorite part of this article is the insight that we need to prepare and work for a good marriage just like we would work at learning a skill for a job. Thank you. 1st.. to Dale.. happy 60th birthday..! Enjoy..
2nd.. I’ve concentrated over the years on all of the other points mentioned n now I want to concentrate on no.3… I’m starting with Anne Morrow Lindbergh’s book… Gift from the sea..
Can you recommend any others? I see the books cited in your book, but with my brain injury I need ones not too “heavy”..
Wow. Earlier this week I was having trouble connecting and “belonging” with a group of girlfriends and lamented this fact to my husband. He sympathized but also reminded me that I will always belong with him. I didn’t fully realize what that might mean until reading this post. Too often I take my relationship with my husband for granted and treat it as a “given” instead of the precious gift that it is. I long for more in this relationship, but I know a large part of that needs to come from me and my investment and work in “us.” Thanks as always for helping me see and understand this vital truth! So glad it helped, Valarie! You are blessed and your marriage is precious! Wow! Ramona does it again! Thank you for articulating what we all long for as human beings- belonging and unity with our spouse (and ultimately God) and with others. Intuitively, I know this, I’ve read it before, but it’s easy to forget about it especially in it being the driving force behind all of my relationships! Wow! It’s also easy to see how this plays into relationship missteps for myself and others. Thank you for pointing that out and for breaking down how to come closer to that which we long for and what we’re made for with our husbands! P.s. happy birthday to Dale! I love the photos!! Beautiful Christine! And I’ll pass on your wishes!! Happy 60th Birthday, Dale! And congratulations on over 40 years of marriage, especially through such difficult situations! Ramona, I love that you point out that we are just supposed to naturally know how to navigate the most difficult skill of unselfish love in our self-centric flesh, yet we attend school for years to learn a trade. It doesn’t make sense, and I think the divorce rate and rate of unmarried people living together reflects that. Thank you for your time and hard work that you give to pour into others’ lives! Marriage affects future generations and society as a whole. Your efforts are far greater than can be measured! So kind of you, Raschelle!! I naturally want to create this sense of belonging with my spouse and children, but also struggle with being too much of a “people pleaser” and therefore spend too much time feeling like a failure. Do you have any insight on this? I like this belonging. That’s a great way to express it! I have a couple in mind I need to spend time with. Thank you for your insights and a happy birthday to Dale! I can prioritize family on a deeper level, providing more security for my children and husband, by being more secure in my own self-love and worth. And by, allowing Christ to heal my triggers and my families generational iniquity in which I’ve inherited. This whole list is so great! I especially like #1, since I feel like when my husband & I hang around other couples, their “vibe” sometimes rubs off on us, whether that’s a bickering, critical vibe or a positive, loving, enjoying-you-just-as-you-are vibe. 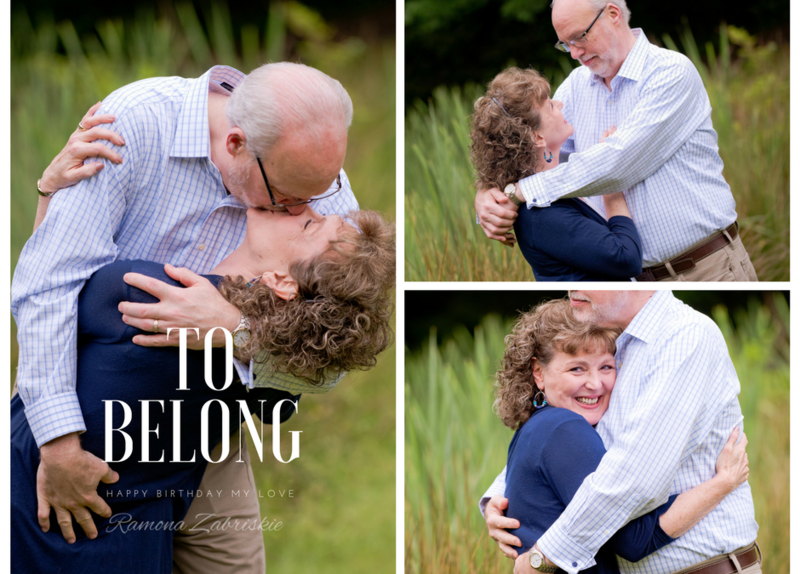 I know that even seemingly “perfect” couples have had their challenges, so I really believe that I can learn from what they’ve done well in order to continue “belonging”. I agree, Ramona, that the more I develop my spiritual life, the more peace and security I feel – which does lead to me being more available to my spouse, and more able to see all his goodness and focus on blessing our relationship. I love the principle that we need belonging – I certainly see it is true in my life and in the lives around me. Thank you for that reminder – I can do more to help others feel they belong! As always, Ramona, your articles give me just the right mental shift that I need. 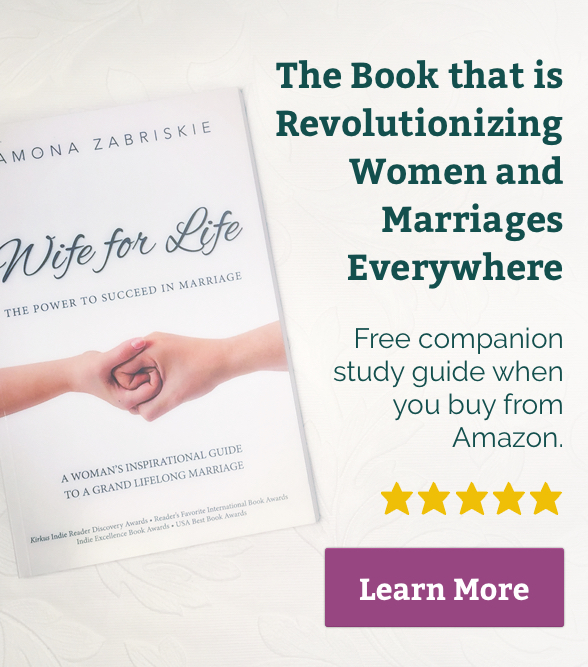 I have always loved studying up on marriage– even before I was married– yet you have provided something for me that really resonates in your book and your articles. Thank you for all you do! Your grande marriage has affected so many of us!! My husband and I decided while engaged that we would not punish each other as if we were the other’s parent. That is certainly easier said than done. I find myself doing that from time to time, and then wish I could be more gracious instead of demanding. Don’t I want understanding and forgiveness when things happen? Yes! Now I just need to lose the double standard. Being more aware of this I’m sure will help. Hi Ramona, just wanted to say thank you for your very insightful and thought-provoking posts. I agree that a sense of belonging is a basic human need, and that ultimately if we cannot feel it within our own families growing up, we cannot exemplify it well or easily in our future families. I feel our marriages, and subsequently our families, were perfectly designed by God to fill that emptiness we are all seeking and so reiterates your point on the importance of building that true trust and belonging with your spouse- I like to say, growing together towards God in oneness. I’m so glad to be a part of your Wife For Life community. I’ve gained so much from the book and your articles. Thanks again! You are so welcome Mika! Thank you Romona. You write beautifully. I am so grateful for your insights and beautiful heart. I loved this article about “Belonging” and the sweet tribute to your husband. You are a wonderful example. One of things that I love about you is your truthfulness. You share your ups and downs so willingly and its helps me connect with you even more, I want to use the list you gave me and learn how to connect with my husband on a deeper level. I am learning that there is a depth in love….. a depth that I didn’t think possible. That is the love that I want…..a love that will last through all eternity. Thank you for another beautiful post. Thank you for your beautiful post. I so appreciate you sharing your wisdom and helping me achieve a deeper bond in my marriage. 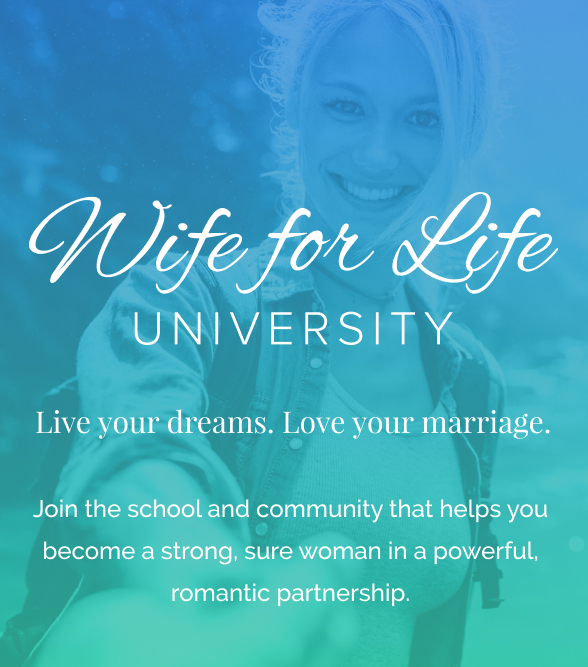 I am currently in your wife 4 life university and I can tell my husband is seeing a huge difference in the way I am responding with him. I am excited to apply this and create a deeper bond with him. Thank you and Love you!!! I love the idea to study historic love. My husband and I both like learning about history and that could make for some fun dates! Happy belated birthday to the man who made W4L university a reality! What a beautiful blog dearest Ramona. What I need to work on most are *strive to help others belong* (i.e. accept him as he is), *prioritize family* (i.e. send a message that I’m here for you) and *study living love. * I have to remind myself so I make them happen intentionally. It’s a beautiful journey. I have just recently found you and so happy that I did. I think we have a pretty good marriage but would like it to be great! We have 18 month old triplets and a six year old and more than anything we are just tired-ha! It’s nice to read articles like this that are so insightful with actionable tips, yet simple to implement. I watched a video of you with Desi and you seem to just shine with God’s love. You are a blessing—thank you! Kerri! I’m so glad you did too!!!! Wish I could drop in and help out with the triplets. That’s just a triple WOW! I love your list of recommendations for a belonging marriage. Thank you! I need to work on my faith. I have faith, but my spiritual life could use some help. I also love your thoughts about studying living and historical love! What a blessing mentors are, whether or not they know that they are mentors!